Here we go! 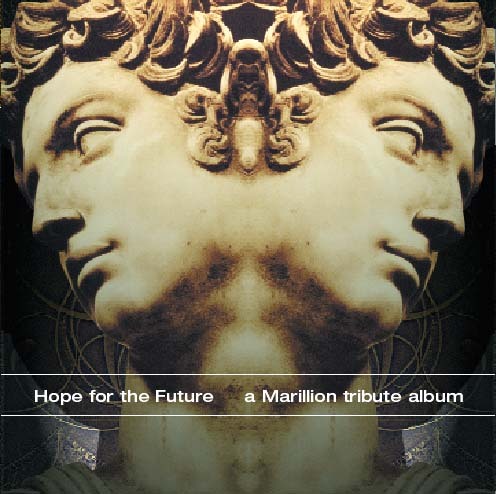 After one and a half year of preparation, hard work and effort, it is finally done: "Hope for the Future", the Marillion-Tribute-CD, has been published. The history: In September 1997 Jon Epstein had the idea to compile a CD with Marillion songs played by other bands and to donate the profits to charity. He started collecting demo tapes from different bands and to contact record labels for the participation of major acts (Bono of U2-fame was one of the names, Jon Bon Jovi is said to have been interested). All these efforts failed because of the fact that most of those famous artists didn´t want to do it for charity only. After some time Jon realized that he would not have enough time to support the project wholeheartedly, and handed the whole thing over to Gina Achord (aka Lipgloss, known to many fans from severeal ICQ-chats). Gina took over and pushed the project to its current state: The CD has been released (only a 1000 copies have been pressed), and it´s gorgeous! The CD contains material from both the Fish and the Hogarth era of Marillion, the bands including John Wesley (who has been and will be on tour on guitar with Fish for the upcoming Raingods with Zippos-Tour and who released a great album ("The Emperor falls") last year) and Tracy LaBarbera, who works as backing vocalist with Wes. Sound samples and ordering can be done online at CDBaby. Hurry up! There´s only a thousand copies and more than half of them have already been sold! All the profits go to Interplast, so there´s fun and you help children with the purchase of this CD!!!! For additional information visit the official tribute-website or contact Gina directly.